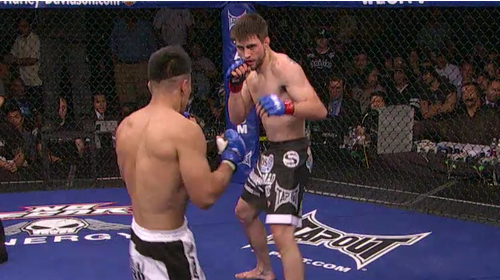 WEC 35: Condit vs. Miura from August 3, 2008. Carlos Condit vs. Hiromitsu Miura WEC 35 Aug 3, 2008 (32:43) Making his 3rd title defense, WEC welterweight champion “The Natural Born Killer” Carlos Condit was on a 7 fight win/stoppage streak and was set to clash with former undefeated boxer Hiromitsu Miura, who scored back-to-back wins via punches in the WEC..
Steve Cantwell vs. Brian Stann WEC 35 Aug 3, 2008 (17:48) Making his first title defense, WEC light-heavyweight champion Brian “All-American” Stann delivered his sixth straight KO/TKO win to take the belt and was set for a rematch rumble with Steve Cantwell who had scored back-to-back first round stoppages. Jamie Varner vs. Marcus Hicks WEC 35 Aug 3, 2008 (9:55) Making his first title defense, WEC lightweight champion Jamie Varner scored his third straight stoppage win to nab the belt and was ready for his first test in the undefeated “The Wrecking Ball” Marcus Hicks who owned all three WEC wins by guillotine choke. 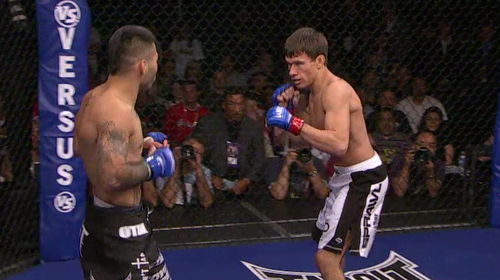 Brian Bowles vs. Damacio Page WEC 35 Aug 3, 2008 (9:56) With back-to-back stoppage wins in the WEC cage, undefeated Brian Bowles was on a bit of a tear through the bantamweight ranks and was set to clash with the furious fists of Damacio “The Angel of Death” Page who was on a great five fight win streak. Brock Larson vs. Carlo Prater WEC 35 Aug 3, 2008 (5:56) Making his 5th appearance in the WEC cage, Minnesota Martial Arts Academy’s Brock Larson with his daunting 26-2 pro record with 19 wins by submission faced BJJ blackbelt Carlo Prater with his 23-6-1 pro record and aiming for his first WEC win. 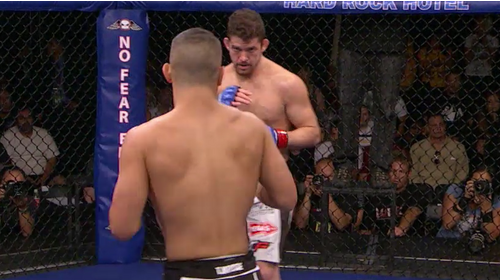 Blas Avena vs. Dave Terrel WEC 35 Aug 3, 2008 (6:19) At 2-2 in the WEC, submission specialist Blas Avena with all five of his career wins via the tapping variety readied to climb into the WEC cage to tangle with Dave “The Bionic” Terrel who scored a TKO win in his last WEC bout improving his record to 5-1. Josh Grispi vs. Micah Miller WEC 35 Aug 3, 2008 (6:06) Securing an upset submission win in his WEC debut, proven-finisher Josh “The Fluke” Grispi who was on a six fight win streak entered the WEC cage to take on standout wrestler & jiu jitsu player Micah Miller who scored a first round KO in his last WEC bout. Shane Roller vs. Todd Moore WEC 35 Aug 3, 2008 (8:16) Riding a three fight win streak, former 3x NCAA Division I All-American wrestler Shane Roller was climbing into the WEC cage for the first time to tangle with Todd “Maniac” Moore with his 10-1 pro record was aiming for his first WEC win in his second try. 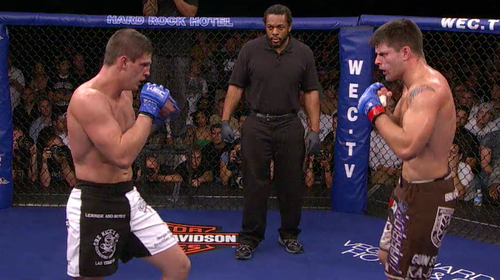 Mike Budnik vs. Greg McIntyre WEC 35 Aug 3, 2008 (20:48) In this WEC double debut, former professional in-line skater Mike Budnik owned five of his six wins via stoppage was ready to rumble with Greg McIntyre who owned a 5-2 pro record and was riding a three fight win streak. 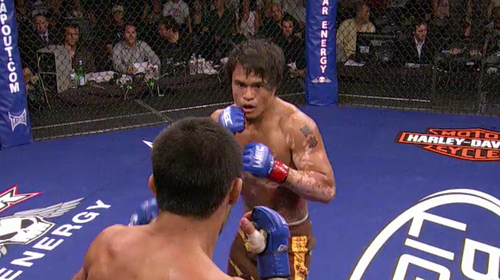 Scott Jorgensen vs. Kenji Osawa WEC 35 Aug 3, 2008 (22:34) Both fighters were aiming for their first WEC win in their second bouts as Japanese MMA veteran Kenji Osawa with his 13-7-2 pro record tangled with former NCAA Division I wrestler Scott “Young Guns” Jorgensen with his 4-2 pro record.